Everybody wants it because "They're not making any more of it!" 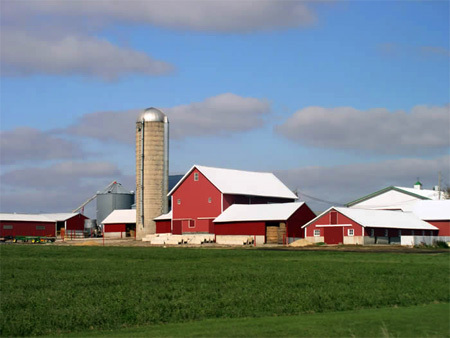 Buyer or Selling Land and or Farms can be challenging if you don't have a knowledgeable Real Estate Agent. This is imperative!! RE/MAX Partners of Louisburg are highly trained in farms and vacant land transactions. Let us be your guide. An acre can be any tract of land comprising 43,560 square feet. A square acre would be 208.71'X208.71'. To determine the acreage of a particular tract of land, you would simply multiply the width x depth to determine the square footage and then divide by 43,560. For example, you have a tract of land that is 250 feet wide and 550 feet deep. Simply, 250x550=137,500 square feet divided by 43,560=3.15 acres. We hope this will help inform you. RE/MAX Partners of Louisburg would welcome the opportunity to assist you with the sale or purchase of the farm or land of your dreams. Call today: 913-871-7377.